Before an agent starts an individual health insurance career they must understand what it is and how it works. Individual health insurance is one of the most popular and sought after types of insurance, but it is also very misunderstood by the client. Individual health insurance is for people under the age of 65 who are not eligible for Medicare. Individual health insurance is an insurance policy that protects an individual or family against the costs associated with receiving medical treatment such as doctor visits, hospitalizations, emergency room visits, prescription drug costs, etc. There are many types of plans like HMO, PPO, POS, and Major Medical. Typically, individuals must go through an underwriting process which is an evaluation of their health history in order to qualify for a plan. Why Choose an Insurance Career in Individual Health? Individual health insurance has been one of the most sought after types of insurance careers due to the fact that clients recognize the intrinsic need for health insurance and seek out an expert to guide them through the process of choosing the best plan. In addition, agents in this insurance job can create a very stable and successful living by building residual based income. 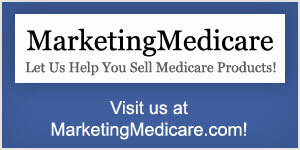 Medicare products, which are very similar to individual health products, but have not been impacted by this bill. Who Would Excel at an Individual Health Insurance Career? Those interested in an insurance career in individual health insurance need to be self-motivated. Individual health insurance agents must possess strong sales skills and will do especially well when they can educate clients about the different products. To be successful in an individual health insurance career, an agent needs to learn the ins and outs of the policies they are selling and work to understand and listen to the specific needs of their clients. There is usually no requirement for a college degree when choosing an insurance career in individual health insurance. However, an agent must prepare for and pass a state exam to obtain an individual health license to sell insurance before he or she can start writing business. In some states you may be need to register your fingerprints. The section below outlines how to get started in an insurance career selling individual health insurance. Complete Pre- Licensing Education: Learn the rules and regulations of your state’s insurance industry. You may be required to attend classes, but some states allow you to study at your own convenience. You will be issued a certificate for completing these state certifications and at that point you are permitted to take the state exam to become licensed as an individual health insurance agent. Take the State Exam: Contact your state’s insurance department to find contact information for your local testing center. This test covers individual health and insurance laws in your state. In addition to the self-study option, there are in-person and online schools/courses that you can attend. Once you have completed the course, bring the course completion certificate to the testing center on the day of your exam. After you pass and complete this exam, you can then apply for an insurance agent’s license. Apply for Insurance Agent’s License: You must submit the application, proof of education (if required) and proof that you passed a state exam to your state’s insurance department. Get Established: To start your insurance career and begin selling individual health insurance, you can decide to work for an established agency as a captive agent (employee of an insurance company), or you can work as an independent agent. It is recommended to start an insurance career as an independent agent because income potential is greater and the residual income is yours to keep as long as you continue to renew your license. Independent insurance agents typically contract through a National Marketing Organization in order to sell multiple carriers’ policies. Get started: Your insurance career starts NOW! 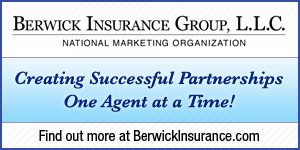 Contact us to get contracted and launch your career as an Individual Insurance agent today.